Mr. Saifullah Mahsud is the President of FATA Research Centre (FRC).He is from village Shaga in South Waziristan. He is among the founding members of the organization. 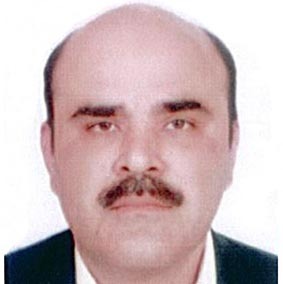 Mr. Mahsud carries enormous experience in working in academia, journalism and social development sector. Before co-founding the FRC, Mr. Mahsud worked as a Research Analyst with the S.Rajaratnam School of International Studies (RSIS) at the Nanyang Technological University in Singapore from 2007-2008. He had also worked as a researcher with the Research Society of International Law (RSIL) and as Social Organiser with the Islamic Relief UK in 2001-2002. He was also associated with the English daily The Nation from 1999-2001. Since joining the FRC, Mr. Mahsud has conducted field research in Paktika, Helmand and Oruzgan provinces of Afghanistan, FATA, Khyber Pakhtunkhwa, Balochistan and Southern Punjab in Pakistan. He regularly appears on the national and international print and electronic media on various topics concerning Pakistan and the region. Mr. Mahsud holds M.A. in Political Science from the University of Peshawar. Mr. Mansur Khan Mahsud belongs from Ladha in South Waziristan Agency of FATA. He is among the founding members of FRC. Mr. Mahsud carries wide experience of working in academia and social development sector. Before founding the FRC, Mr. Mahsud worked at the Pakistan Institute of Peace Studies (PIPS). He has also worked with the Islamic Relief UK. Mr. Mahsud has authored many research papers which have been published in PIPS, FRC and the New American Foundation in Washington DC in USA. Dr. Syed Adnan Ali Shah Bukhari has earned his PhD on the Talibanization of FATA and N.W.F.P. from Nanyang Technological University (NTU) in Singapore. He belongs to Peshawar, provincial capital of the Khyber Pakhtunkhwa Province (KP). His areas of interest include terrorism and insurgency, governance and development in post-conflict societies, especially FATA and Afghanistan, foreign and domestic policies of Pakistan and Afghanistan. Dr. Bukhari carries rich experience of working in academia, journalism and social-development sector. Before joining the FRC, Dr. Bukhari served as an Associate Research Fellow and Team Leader of South and Central Asia Desk at the International Centre for Political Violence and Terrorism Research (ICPVTR), S.Rajaratnam School of International Studies (RSIS) at the Nanyang Technological University. He is also associated with the Geneva Centre for Training and Analysis of Terrorism (GCTAT), Switzerland. He has also served as a Research Fellow at the Institute of Strategic Studies Islamabad (ISSI). Dr. Bukhari has attended numerous international conferences as a paper-reader and published widely in academic journals, local and international newspapers, and regularly contributes to Jamestown Foundation, Washington DC, USA. 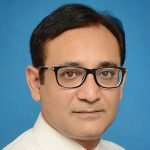 Apart from research, Bukhari has served as a Master Trainer in various capacity building workshops organized for law enforcement and security agencies in Singapore, Pakistan and Bangladesh. 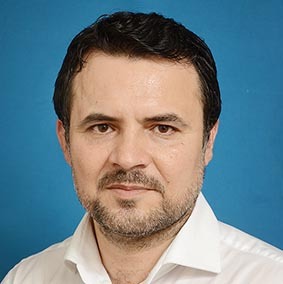 His most recent publication include a comprehensive study, which he coauthored with Dr Sadia Sulaiman, entitled “Governance Reforms in FATA: A People’s Perspective” which was funded by the Federal Foreign Office of the Federal Republic of Germany and was published in December 2016 by the FATA Research Centre.